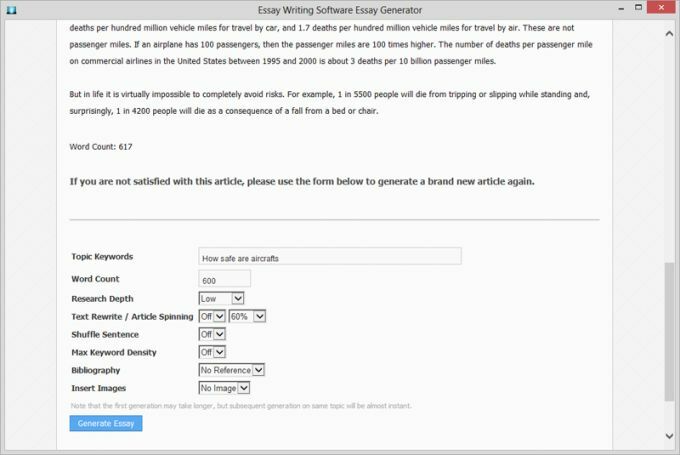 The Essay Generator takes essay questions and keywords and generates creative and interesting articles that are free of plagiarism, in just a few seconds. Now when you have an assignment, you know that you can produce work that is unique, plagiarism-free, allowing you to score high marks on your essay with minimum effort. You can now spend more time doing things you like instead of writing essays. What do you think about Essay Generator? Do you recommend it? Why?